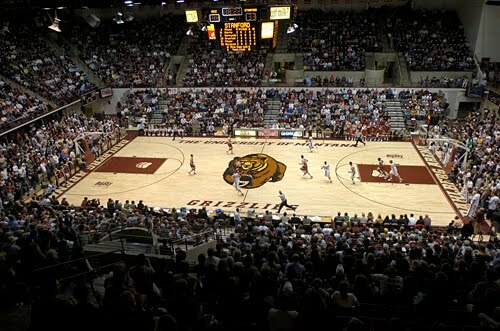 I have looked at a few of the other schools, and now it is time to take a look at the schedule for the Montana Grizzlies, who look to be one of the top two teams in the Big Sky Conference once again. They will start off the season with a bang, traveling to Fort Collins to take on Colorado State, an upstart program under Coach Tim Miles who will be looking to build on the momentum created last season. It should be an interesting matchup right out of the gate, as it will be a nice resume booster for whoever wins. It looks like a pretty even matchup to me, and one I hope to attend. There are a couple other interesting non-conference road games. They will take on San Diego, who had an eventful offseason for all the wrong reasons. The Toreros struggled last season, but they had a young team and they have a solid coach in Bill Grier. Then the Grizzlies will travel to take on North Dakota, in a preview of what could be a solid rivalry for years to come, as UND joins the Big Sky. The other remaining road games are Portland(who was in the middle of the pack in a solid WCC), Oregon State (which will look to be improved behind the play of Roberto Nelson, who will be eligible all year long), and a bracket buster game. Montana needs to go at least .500 in these games, and going at least 4-2 seems like a reasonable goal. At home, the big game is against Nevada, which will be one of the best non-conference games of the Big Sky season. The Wolfpack have been down a bit, but they are projected to be near the top of the WAC with budding stud Deonte Burton. 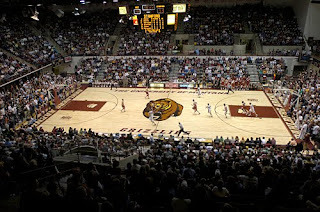 This would be a very nice resume booster for the Griz, and a game they surely have marked on their calendars. They will also take on Idaho out of the WAC, a team that finished 4th last season, so they are certainly no gimme. They will get couple other solid home games against San Francisco (who finished behind only Gonzaga and St. Mary's in the WCC as one of the youngest teams in the country), and Long Beach State, a team that sees itself as a potential at-large possibility. The other non-conference home games included games against usual suspects - low level teams that shouldn't provide a huge challenge. Games against Great Falls, Montana Tech, and Utah Valley are schedule fillers, ones that every Big Sky team needs to have on their schedule. Add it all up, and I think it is a pretty impressive schedule for the Grizzlies. Other than Oregon State they don't play any BCS Conference teams, but they have a lot of games against solid mid-major opponents. It will be a nice test for Montana, and if they can win some of these games, it will go a long way to helping their seeding if they are able to make it to the Big Dance.